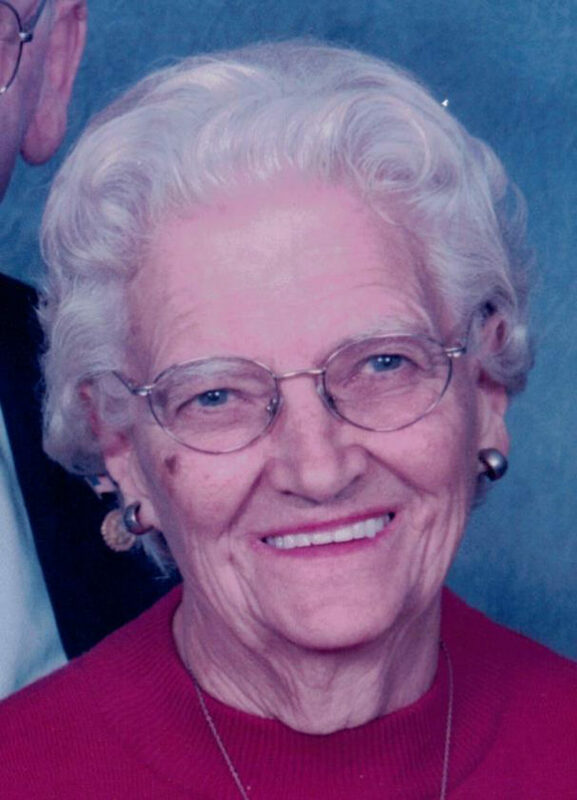 Sarah J. Tabb, 91, of Mifflintown, passed away on Tuesday, Dec. 4, 2018, at Locust Grove Retirement Village, Mifflin. Born Jan. 6, 1927, in Milford Township, Juniata County, she was a daughter of the late Edward G. and Anna (Woodward) Guss. Her husband, Joseph R. Tabb Sr., whom she married April 6, 1947, died Nov. 12, 2009. She is survived by one son, Joseph R. Tabb Jr. and wife, Betty, of Mifflintown, four grandchildren, Jason Tabb, Justin Tabb and wife, Sue, Todd Tabb and wife, Melissa, and Tonya Tabb, and two great-grandchildren, Emma and Owen Tabb. In addition to her parents and husband, she was preceded in death by one son, George E. Tabb, and three brothers, Paul, Roy and John Guss. She graduated from Juniata High School in 1945. Early in life, she was a clerk at Shively’s Department Store in Mifflin. She then worked at the Tuscarora Motor Inn and in the Juniata County School District cafeterias. Sarah was a member of St. Stephen’s Lutheran Church and the church quilting group. She enjoyed playing cards, going on bus trips, baking, sewing, gardening, being outdoors in her yard and spending time with her family. Her funeral will be at 11 a.m., Saturday, Dec. 8, at St. Stephen’s Lutheran Church, Licking Creek Valley, with Pastor Chris Mathiason, officiating. Interment will be in St. Stephen’s Lutheran Cemetery. There will be a viewing on Saturday at the church from 10 a.m. until the time of the services. For those who desire, memorial contributions may be made to St. Stephen’s Lutheran Church, 8489 Licking Creek Road, Mifflintown, PA 17059, or to the Juniata County Food Pantry, P.O. Box 44, Mifflintown, PA 17059. Guss Funeral Home Inc., has care of the arrangements. Condolences may be left at www.gussfh.com.